(Department of Public Information) As Guyana prepares to host the 2018 meeting of the International Civil Aviation Organisation (ICAO) on air transport, ICAO’s President Dr. Olumuyiwa Benard Aliu has arrived prepared to put his full support behind Guyana in the conference. Speaking to the Department of Public Information (DPI) at the Cheddi Jagan International Airport (CJIA), Dr. Aliu said the has been much anticipated and is being held at the opportune time when aviation is rising. “Guyana is a very important member of ICAO. We recognised all the efforts the government has been making to develop civil aviation with the understanding that it is the driver of social economic development for integration and connectivity. 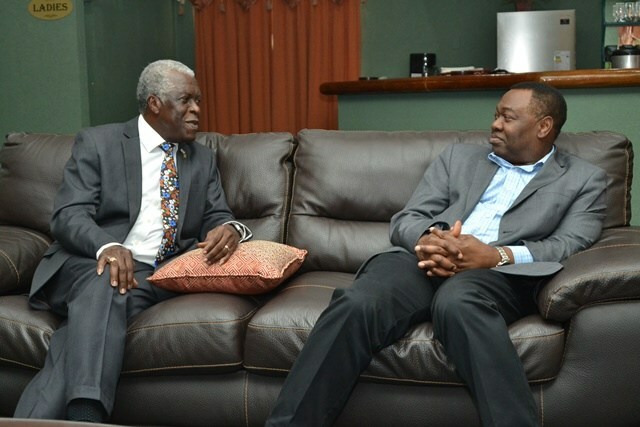 We believe that this event will not only benefit Guyana but all CARICOM and the Central American states,” he explained. Dr. Aliu noted that in keeping with ICAO’s no country left behind initiative, the organisation stands ready at all times to support member states that demonstrate the political will to develop their civil aviation sectors. He added that ICAO will continue to work with Guyana to enhance the level of its aviation security, safety, efficiency and capacity. “Just recently you [Guyana] were recognised for the development of your effective implementation of ICAO’s standards and recommended practices. We are happy to be here and support your leadership. We hope you continue to lead in enhancing aviation in the region,” he stated.